The Club Lounge is ideal for corporate meetings and happy hours, VIP events, luncheons and holiday parties. 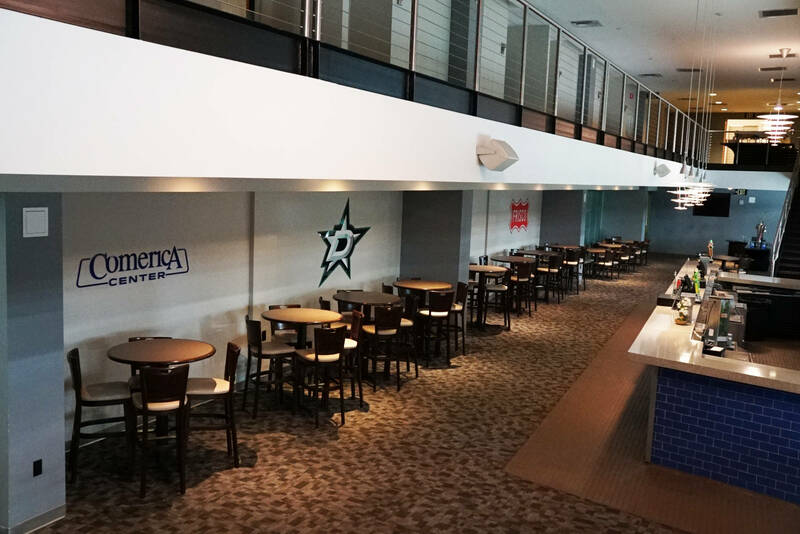 Offset from the main concourse of the center, the Club Lounge overlooks the Dallas Stars practice rink and is equipped with a center bar, televisions and private access to suites. The recently updated space can accommodate up to 200 people with world-class cuisine options provided by RS3. A perfect setting for a variety of events with a maximum capacity of 200 people. Ice time may also be an option upon request and based on availability. Enjoy luxury, comfort and service in the Club Lounge. If you're looking for a great place to impress your family, customers, or employees for your next private or business event, look no further. This versatile meeting space is ideal for VIP parties, luncheons, conference meetings and corporate happy hours.